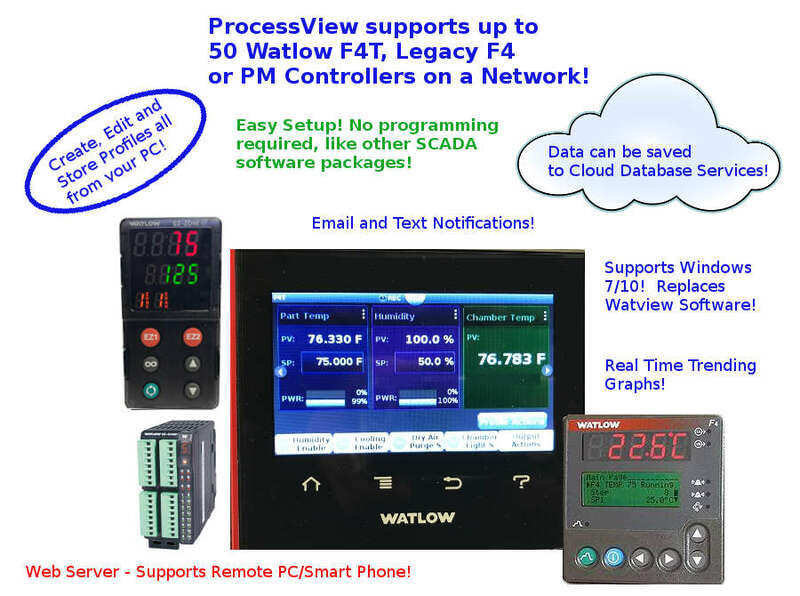 Upgrade your Watlow® F4T, Legacy F4 and PM Series Controller Networks with Windows 7/10 ProcessView® Software. 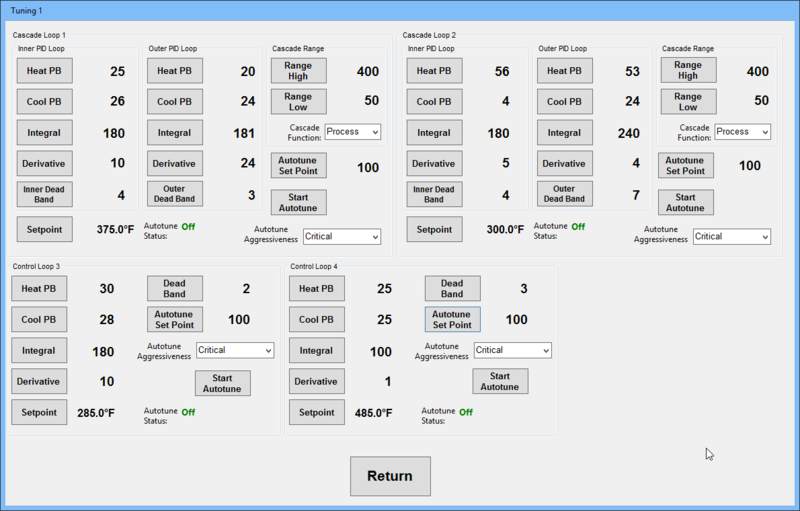 Great for upgrading Environmental Chambers, Furnaces and Ovens! 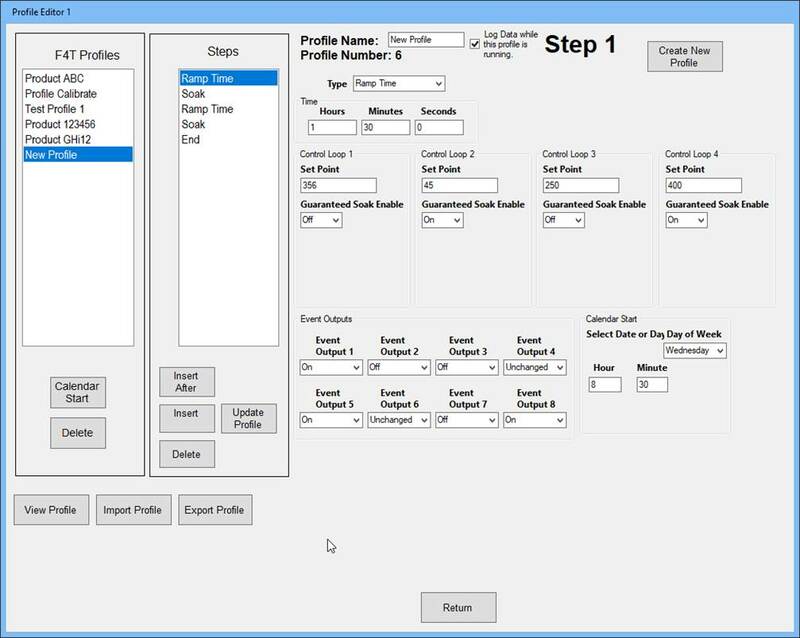 Take a peek At the Software Screen Shots below to see how to improve your Process! 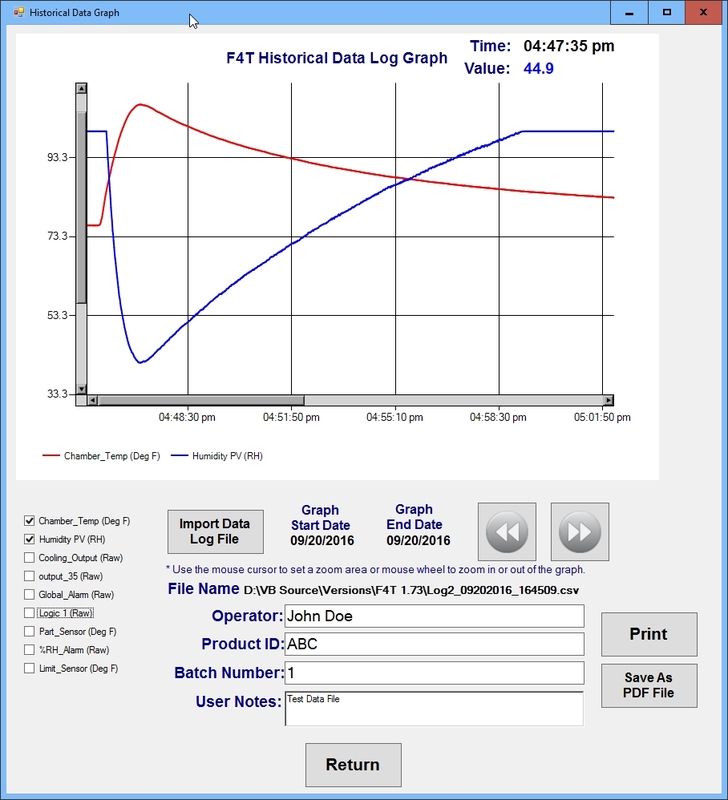 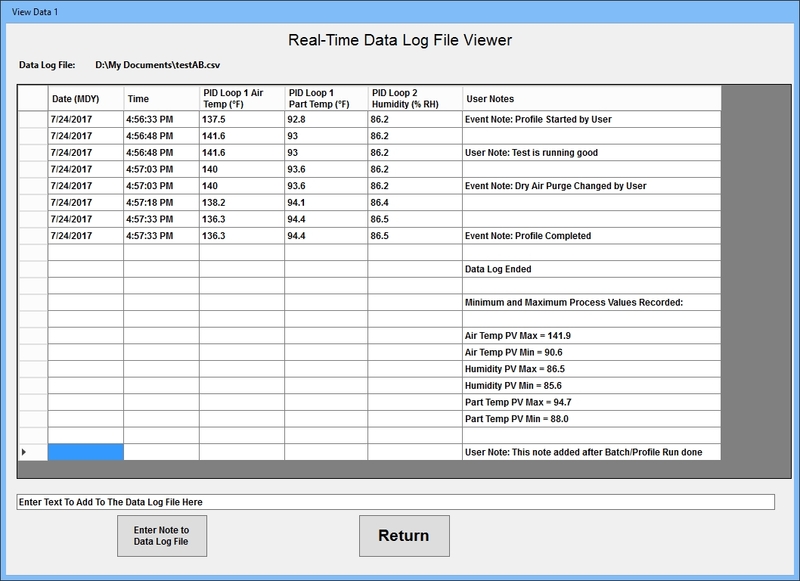 ProcessView Data Aquisition Software for Watlow’s F4T, Legacy F4, and EZ-Zone® PM Controller Networks. 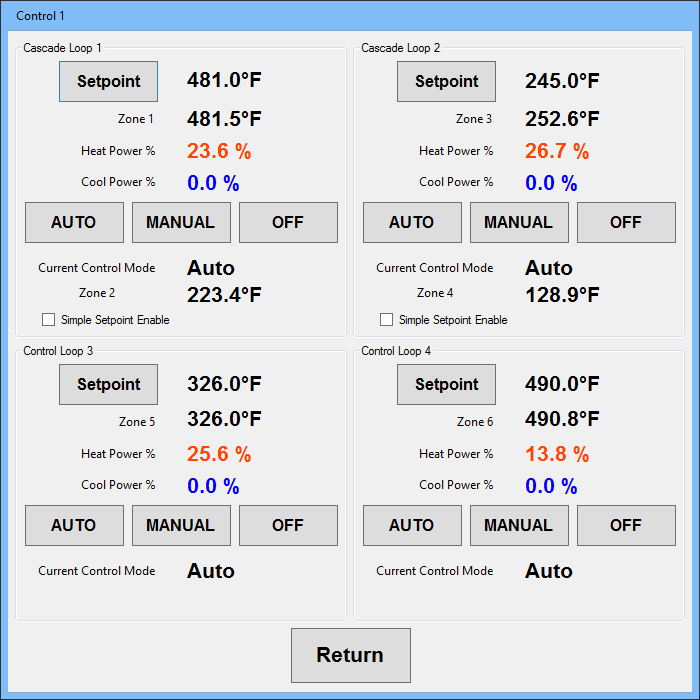 The Software is dedicated to adding value just with Watlow F4T, Legacy F4, and EZ-Zone PM Controllers, which means there is no programming required and it outperforms other more expensive software packages on the market! 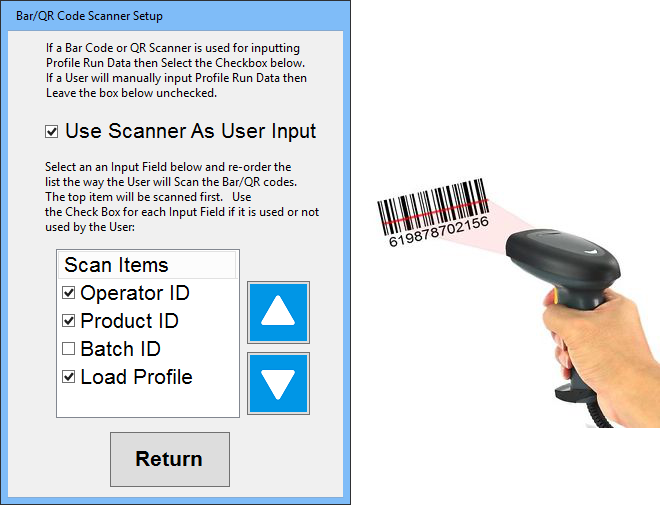 It is designed to work with Windows 7/10 operating systems allowing the use of new PC technology. 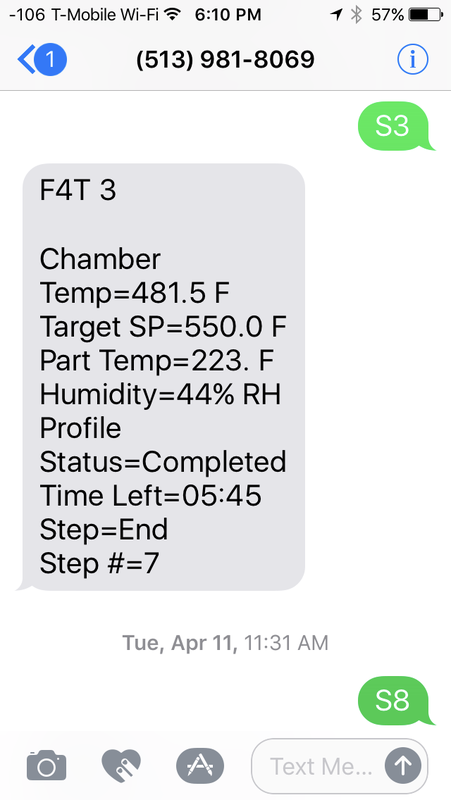 It supports up to 50 Watlow F4T’s, Legacy F4 and or EZ-Zone PM Controllers embedded in Environmental Chambers, Furnaces or Ovens on a local network. 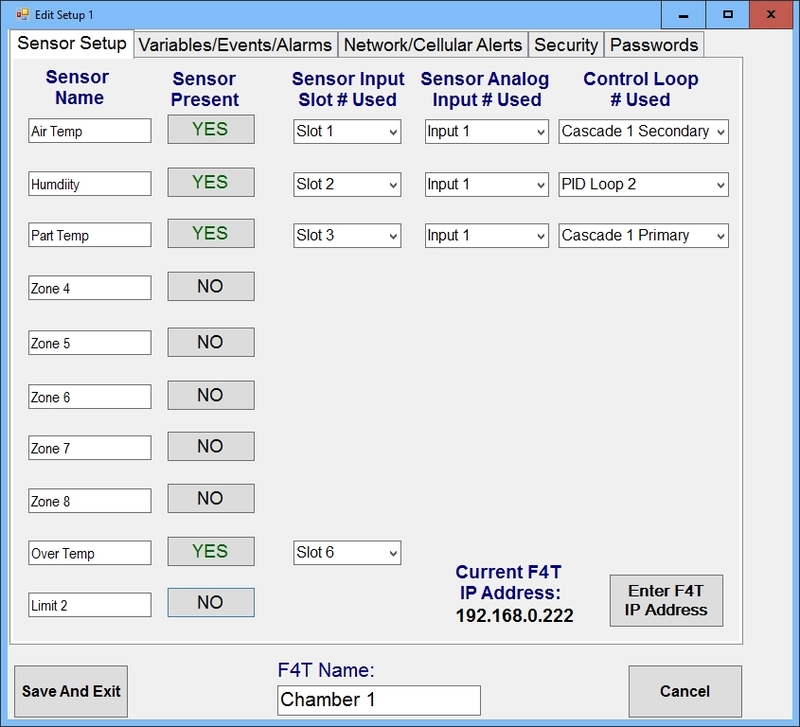 New Watlow F4T Controllers can be added to your existing F4 network as well! 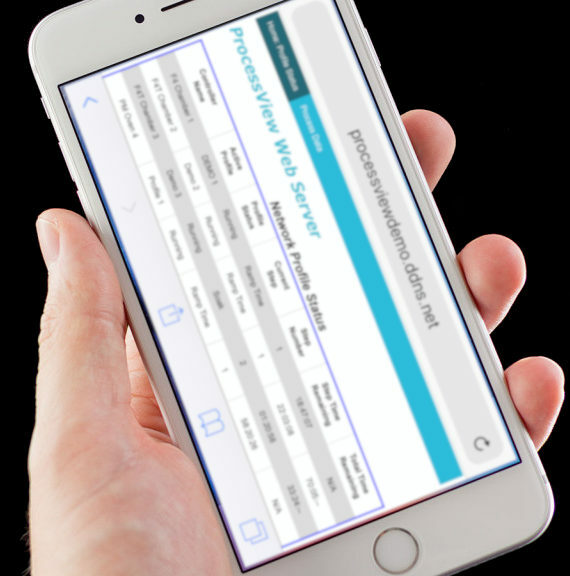 Data can be uploaded to popular Database Cloud Services so anyone with secure access can retrieve data from anywhere in the world or in your Enterprise! 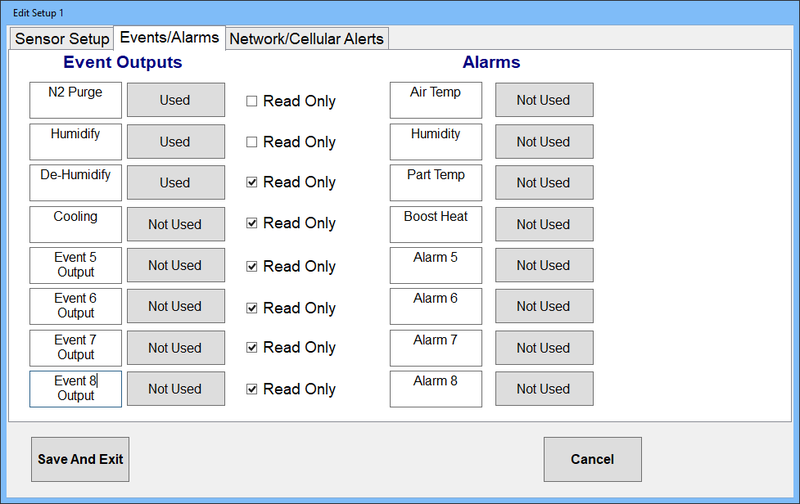 The Web Server allows read only access to Profile Status and Process Data from a remote PC or Smart Phone anywhere in the world! 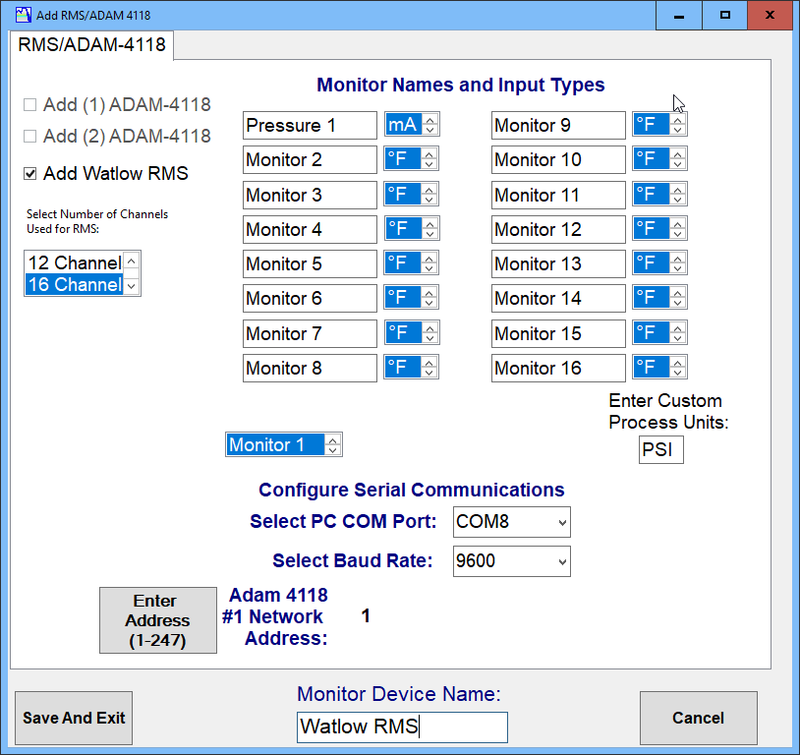 -Web Server Profile Status Screen, shows the Profile Status from all the controllers on the network with a network connection. 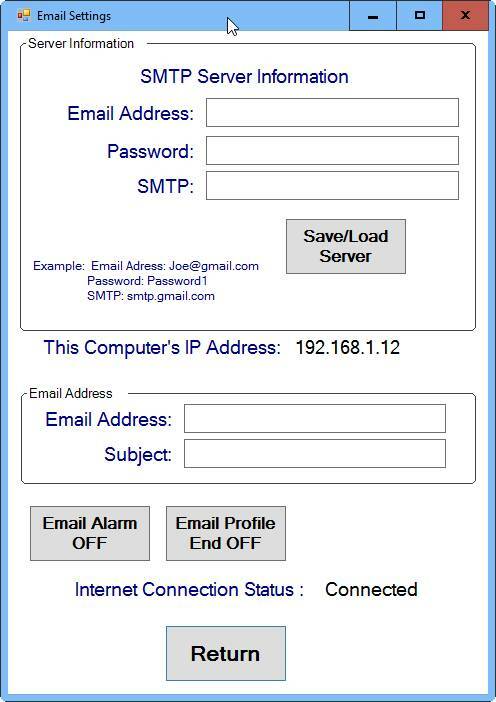 -The Web Server can send web pages to a browser on your internal company network or to a browser on an external network such as the world wide web! 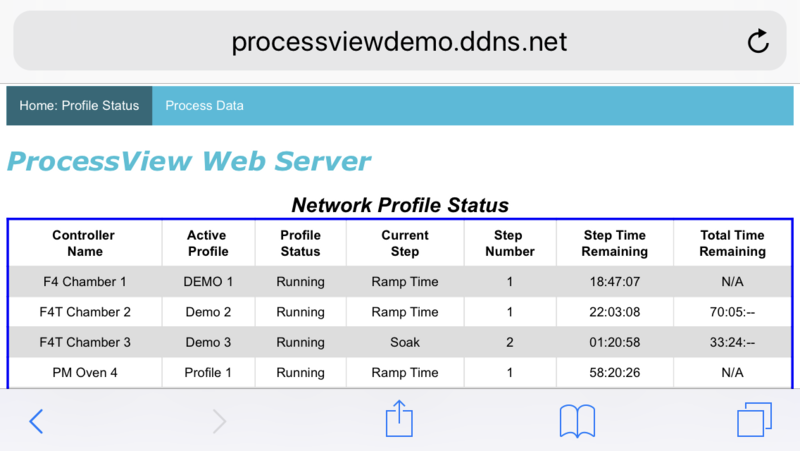 -Web Server Process Data Screen, shows the Process Data from all the controllers on the network with a network connection. 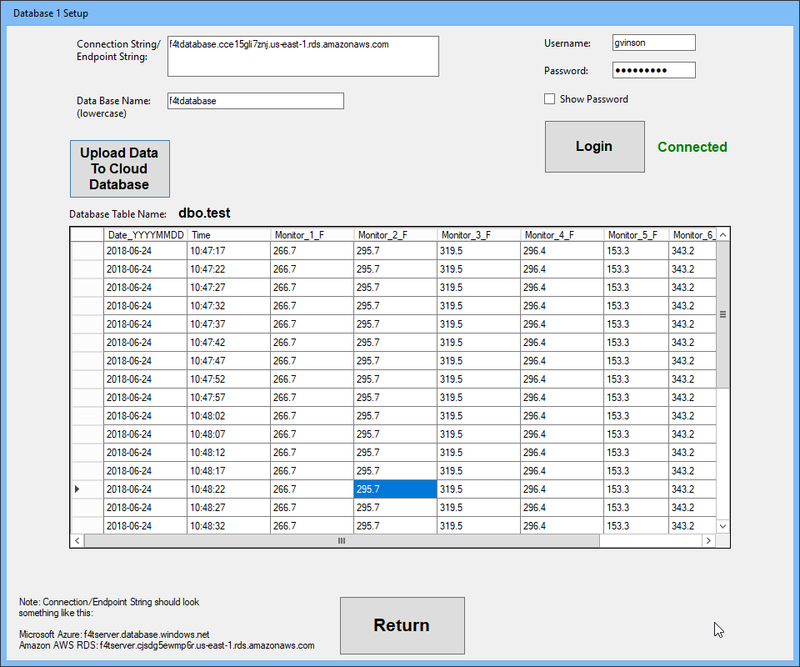 -Enables sharing of secure SQL formatted data that has been logged to remote locations or to various people in your Enterprise! 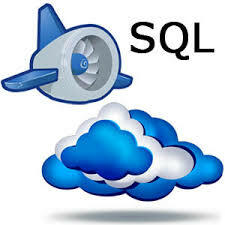 -Using a Cloud Service increases efficiency and security for sharing data among peers and meeting industry regulations! 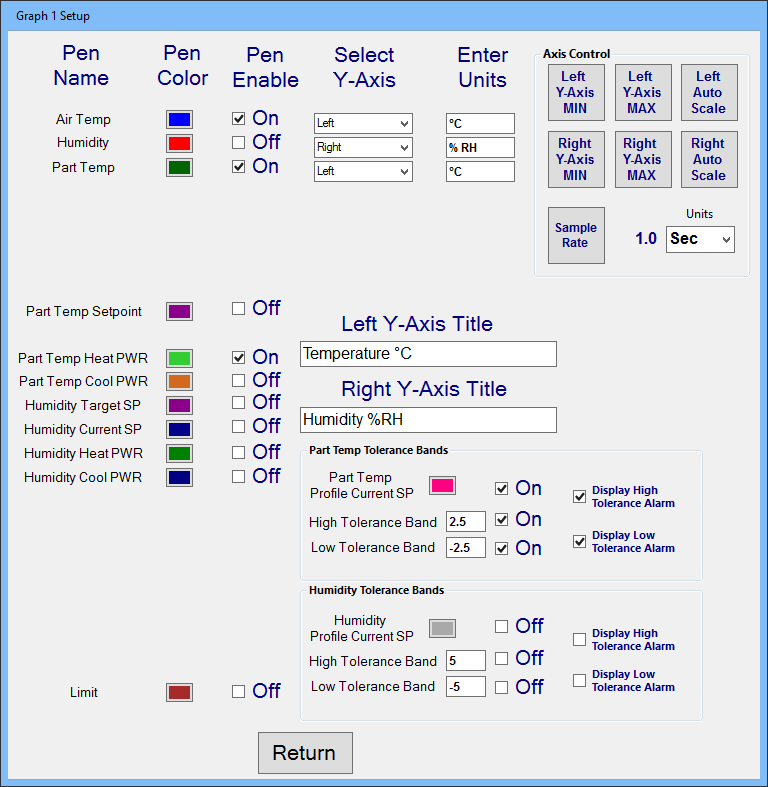 -Great for remote locations without internet connections but is in range of a Cellular Tower! 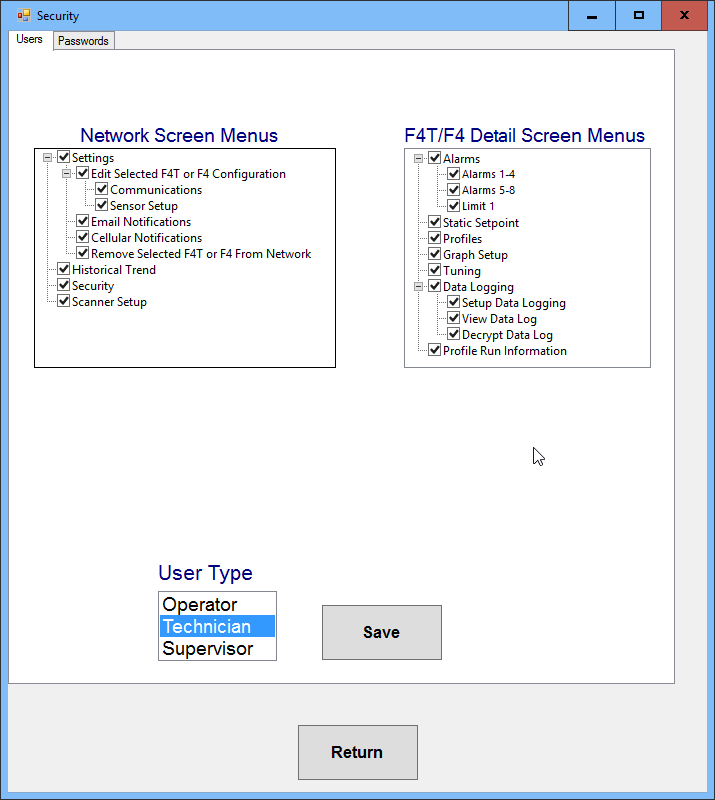 -Setup screen is done only initially and is password protected and is used to configure external sensor devices that interface via a network. 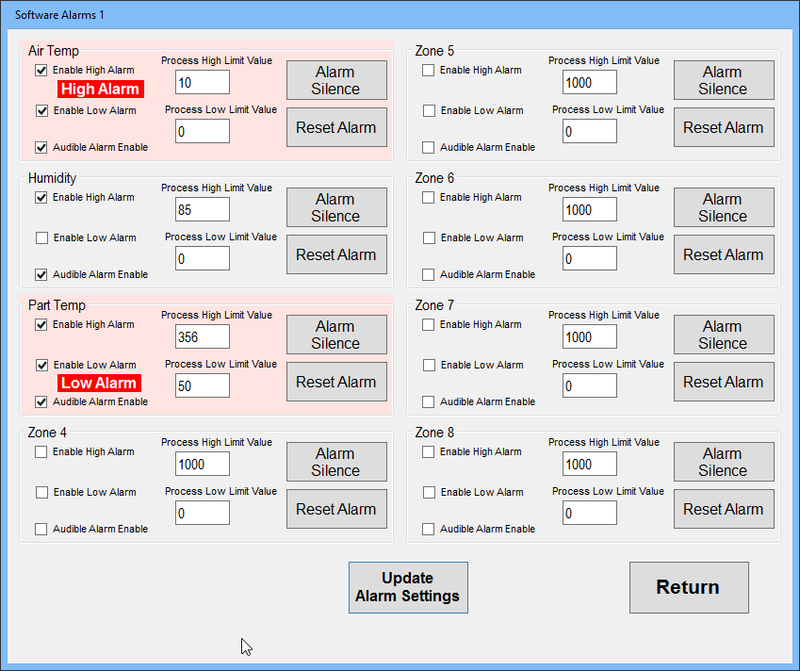 -Up to 16 additional monitoring or data logging points can be added! 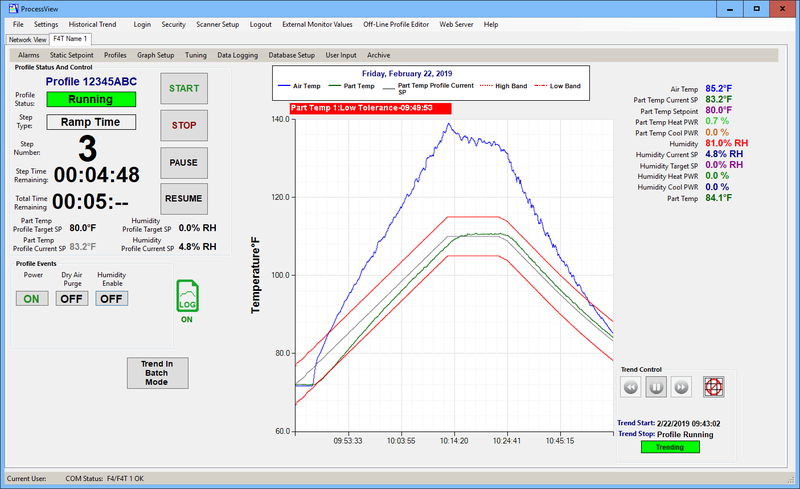 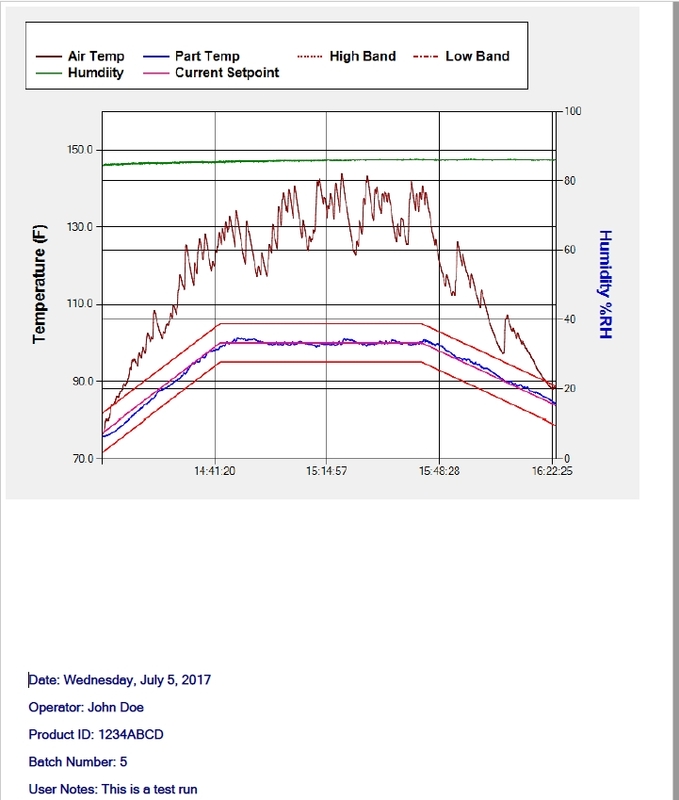 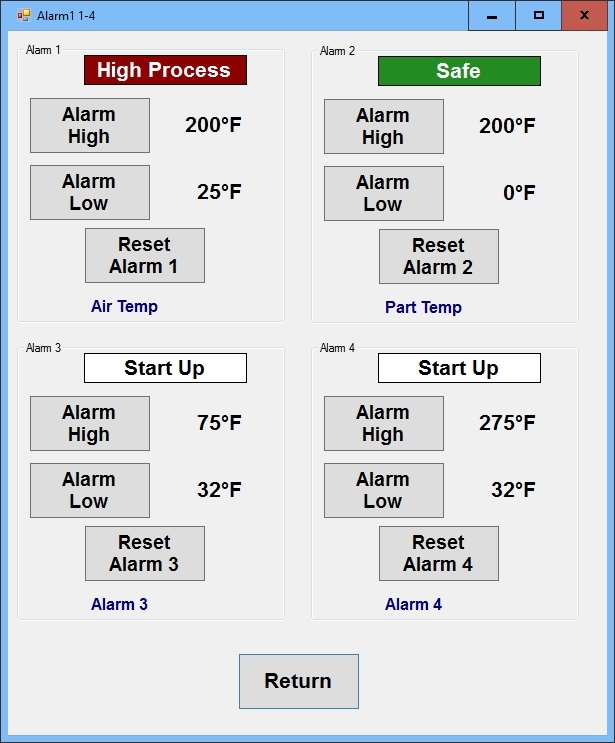 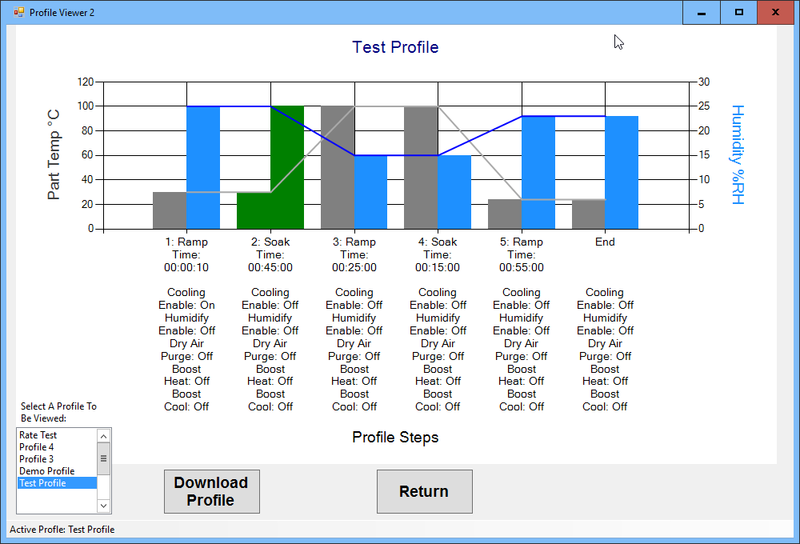 -Use this screen to tune your PID Control or Cascade Loops! 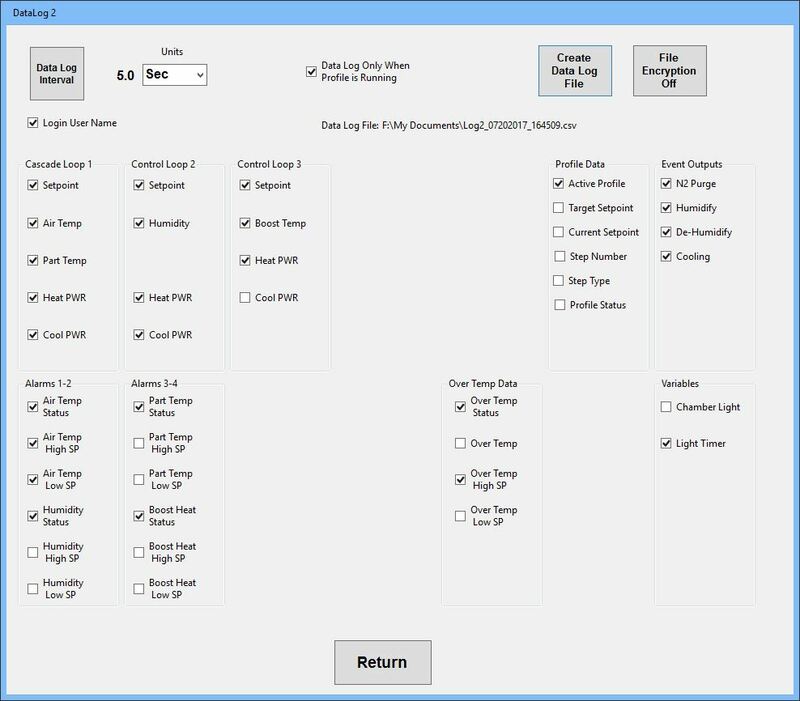 -Both Y-Axis can be scaled individually or they can be Auto Scaled.